Donna reportedly despised the snack (hence the not-too-appealing nickname), and suffered some mild PTSD when Vernier, an accomplished Portland pastry chef with stints at Paley’s Place and Imperial, revived the dish, reborn in a butter crust, at her Old World farmers market stand in 2016. Vernier quickly earned a reputation for her cannoli, focaccia, and ciambella bundt cakes—some of the best outside of the East Coast’s Little Italy enclaves. 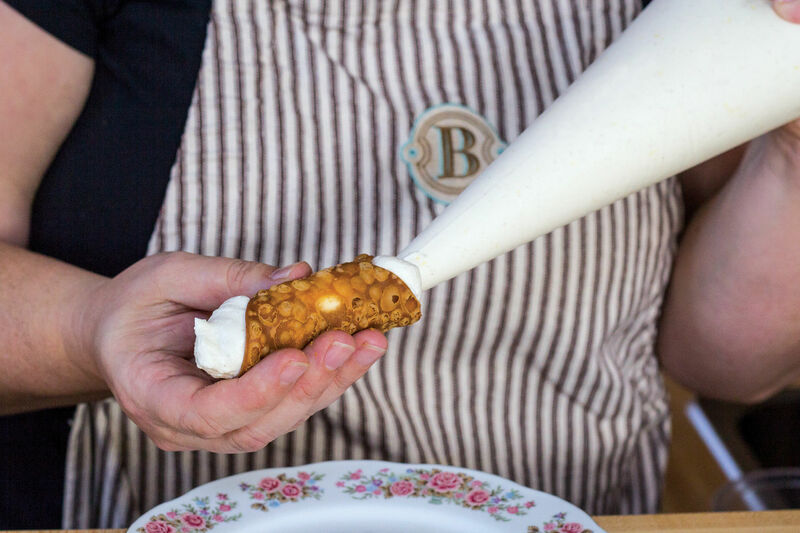 In June 2018, Vernier opened Bella’s Italian Bakery and Market in Lents, an homage to her ancestors’ shop, serving her farmers market favorites, along with espresso, wine and beer pours, antipasti and cichetti (snacks), and hard-to-find imported Italian goods. 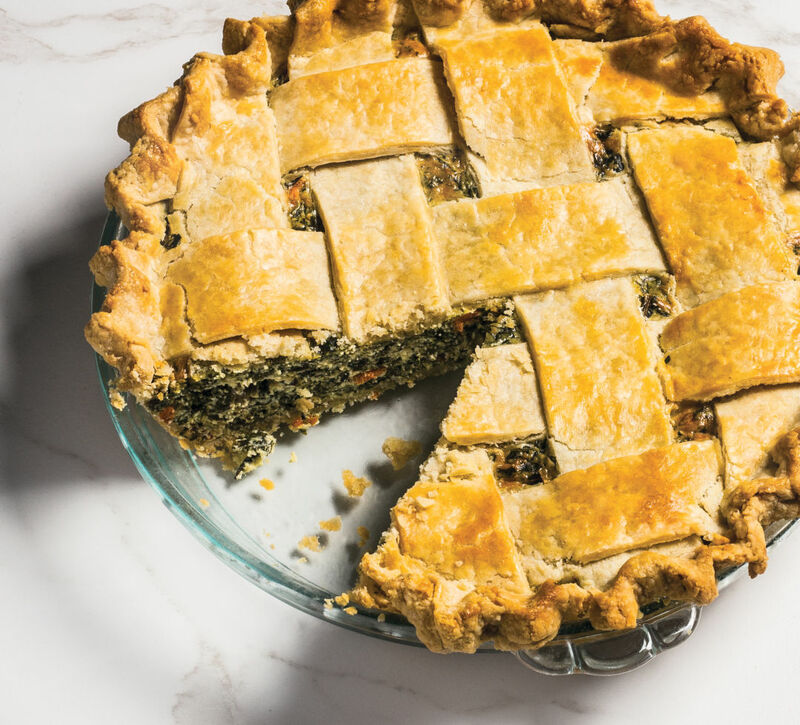 And, of course, a gussied-up version of grass pie, akin to Greece’s spanakopita, starring fresh spring greens and creamy ricotta, all baked in buttery pie dough. The recipe is versatile, flexible, and foolproof. As Vernier likes to say—“don’t be afraid of the grass pie.” Even her mom likes it. Prepare Dough Roll out one round of pie dough and line a 9-inch glass pie plate. Roll out second dough round and cut into 1½-inch strips for lattice. Refrigerate both until ready to fill. Make Filling In a large pot, bring 6 quarts water and the 3 tbsp salt to a boil. Wash dandelion greens and chard, and blanch in boiling water for 1 minute. Drain, let cool, and squeeze out residual water. Chop blanched greens (including stems) into confetti-size pieces. Heat olive oil in a sauté pan over low heat and cook garlic and carrot until soft, about 3–5 minutes. Turn up heat to medium, add greens, and cook a minute longer. Season to taste with salt, pepper, and nutmeg. In a large bowl, mix together cooked greens, parmesan, cream cheese, and ricotta and taste for seasoning. Add 3 eggs and flour and mix well to combine. Bake Pie Preheat the oven to 375 degrees. Scrape filling into the prepared pie shell. Weave the lattice strips on top. Beat remaining egg and brush lattice. 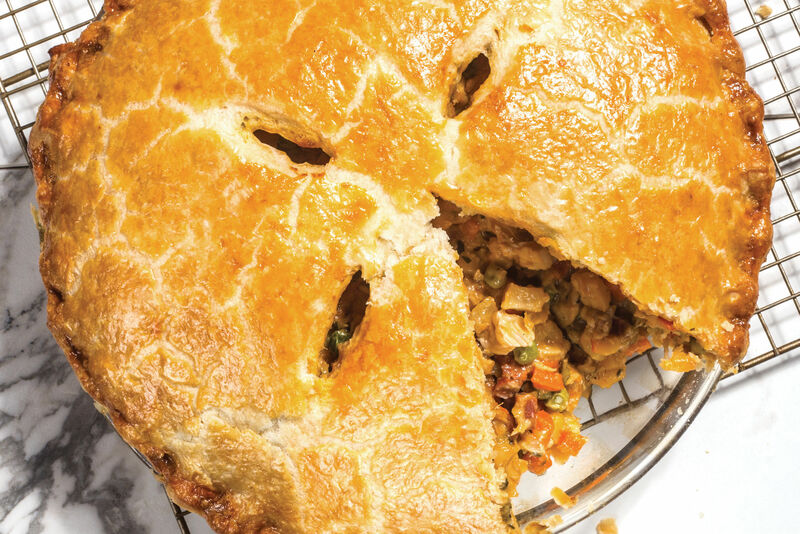 Bake for about an hour, or until crust is golden and filling is puffed. 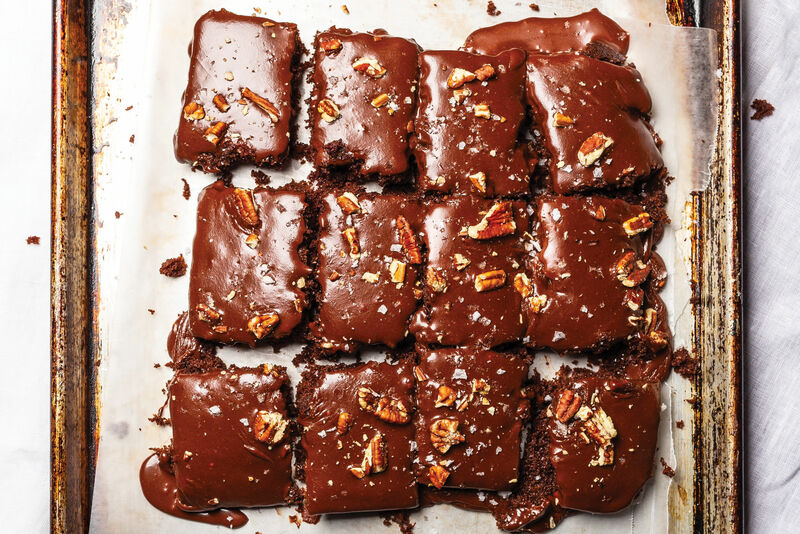 Serve at room temperature, or refrigerate and serve cold. 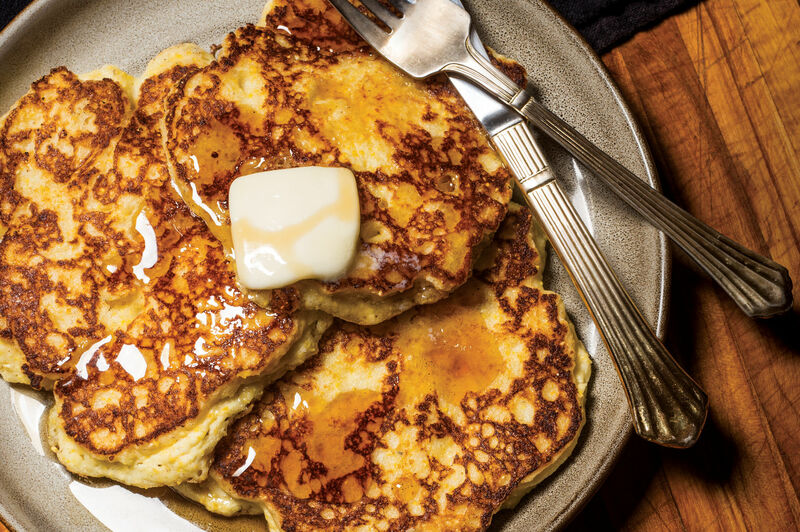 In a bowl or on a cutting board, combine 2 sticks cold butter (cut into ¼-inch pieces), 2½ cups all-purpose flour, and 1 tsp salt with your fingers to form a dough with loose crumbs and pea-size pieces of butter. Add 5 tbsp cold water and 1 tsp cider vinegar, and use the heel of your hand to “smear” the dough. Fold dough back on itself a few times until a rough ball forms. Divide into two pieces, wrap in plastic wrap, and press each into a disk. Chill for at least an hour, up to 24.